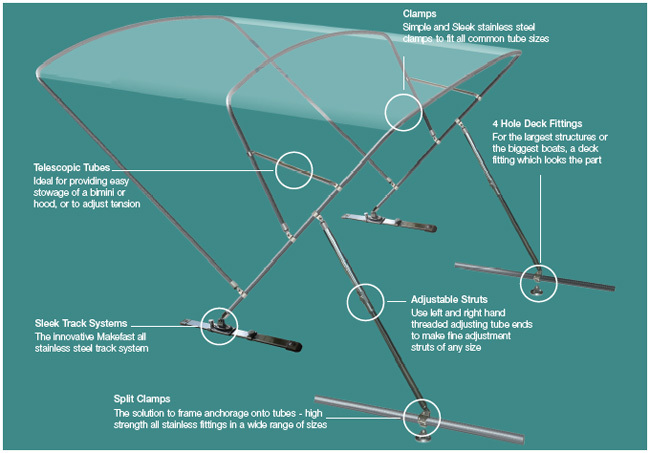 The sprayhood is probably the simplest structure to construct on a boat, yet it has to be one of the strongest. 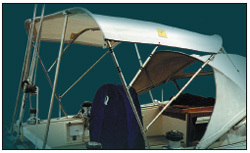 Unlike most Biminis and sunshades, sprayhoods have to stay up in all weathers, from coastal cruising to Atlantic storms. Having worked with leading makers over the last 20 years our Makefast range offers the most comprehensive choice of fittings available - not just the usual tube ends and deck fittings! The diagram below features just a few options available as standard from our range - including our innovative grabrail system. 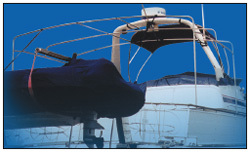 Whether it is a powerboat or sailboat, the structures required to cover a cockpit (fore or aft) can be complex, and no matter what you tell the owner they will motor along at 30 knots with it up! In the past most cover makers have had to resort to their own ingenuity and spare parts to get what they want - not any more! 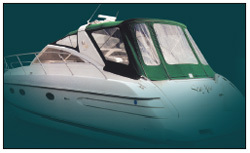 With our new and extended range of fittings from Makefast we can provide a product for most needs from tube joints, for easy erection and stowage, to a comprehensive range of deck fittings designed specially for heavy duty use, all finished in highly polished 316 stainless steel making them perfect for any boat. 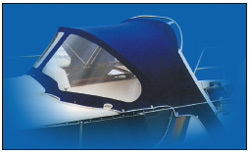 Hover your mouse over the image below to highlight the various components available for a basic sprayhood or cockpit, and click on them to see the products you need..
Biminis offer a range of challenges to the manufacturer from construction to stowage. 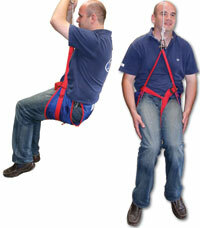 With our comprehensive range of new fittings from Makefast, everyday challenges are eliminated. 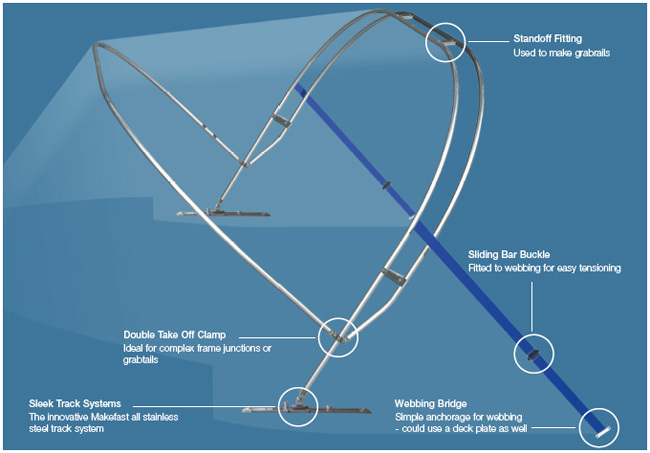 Telescopic tubes are available as standard, split clamps for tube to tube mounting and our tube joints offer easy stowage for even the largest structures. 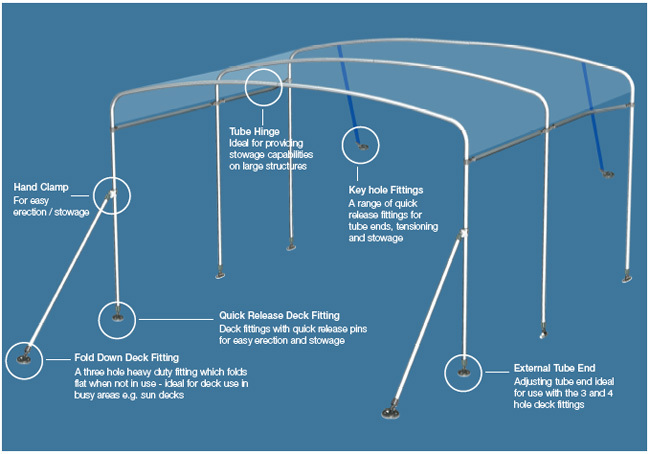 Hover your mouse over the image below to highlight the various components available for a basic bimini, and click on them to see the products you need..
For those customers looking for on deck shade in marinas, the sunshade structure offers the easiest solution. 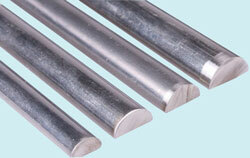 For the maker, however, the problems of stowage and erection must be addressed. Our canopy fitting products provide a range of solutions from tube hinge fittings, which enable large structures to be folded up for stowage, to fold flat deck fittings and an extensive range of quick release fittings both for frame tensioning and easy removal and assembly. Hover your mouse over the image below to highlight the various components available for a basic sundeck, and click on them to see the products you need..